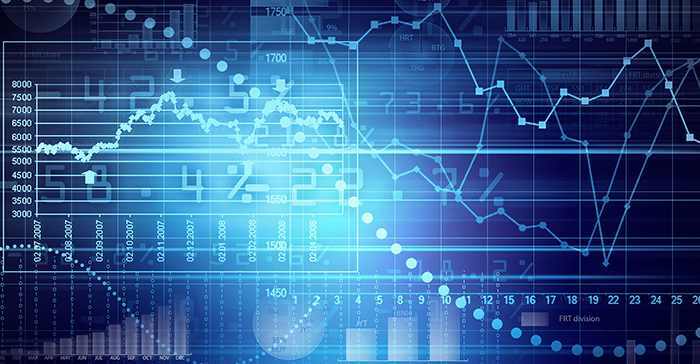 Led Zeppelin were Dazed and Confused in the 1960s, and it would seem that many execs in large organizations feel the same way about big data, and particularly the value end of big data – analytics. 32% of CEOs were “completely confident” in their existing data infrastructure’s ability to handle additional data compared to just 17% of IT executives. 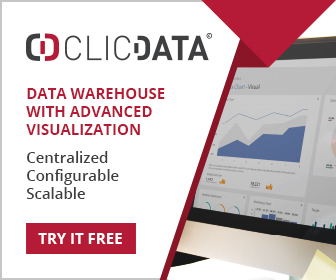 CEOs and IT professionals were somewhat less satisfied with their Business Intelligence (BI) tool: only 58% were satisfied, compared to 67% satisfaction with data warehousing. As with data warehousing, the biggest complaint (32%) was that it was not designed for modern analytics. Slowness and performance were tied at 21% as the second-biggest complaints with current BI solutions. 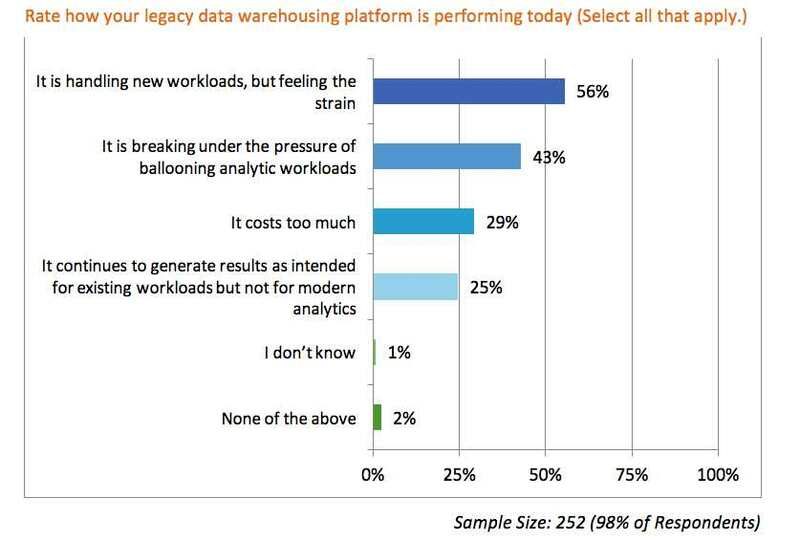 The majority of CEO and IT professionals reported that their legacy data warehousing platform is currently handling the new workloads, but feeling the strain (56%), with 42% saying that it keeps breaking under the pressure of ballooning analytic workloads. Cost was the third-most common complaint (29%). Cost was the most important challenge for traditional platforms and BI tools (47%), followed closely by traditional technologies not being architected to handle modern workloads (46%). Tightening IT budgets leaving little room to scale were referenced by 21% of CEOs and IT professionals, while 24% were discarding or sampling data rather than analyzing all of it. Executives reported that they need to protect their existing IT investments to avoid a costly “rip and replace” (48%). As for current plans to address issues with their organization’s traditional data platform, CEO and IT executives said that they were going to augment with tools that can help them maximize their investment (62%) while moving excess data into storage to deal with later (45%). Big data is becoming a big challenge. The executives surveyed reported that as data volumes increase they are struggling to glean meaningful insights from their data (60%) and getting access to and analyzing the right data at the right time is a problem (56%). Subjects such as the lack of scale to manage large data sets (48%) and the slow speed of the system for modern analytics (45%) concern the executives surveyed and may drive them to change their traditional data management systems. Only a quarter of executives believed that their data architecture from five years ago will work well five years from now (27%). Right now we are wanting to store more diverse types of data that might be unstructured, multi-structured, semi-structured – and of course structured. The only real solution is schema-on-read. In other words the data gets thrown into a large bucket (the in-phrase is a data lake) and we make sense of it when we retrieve it, rather than constrain it via schema-on-write. It’s a fundamental shift in thinking, and obviously Actian feels it has an answer to the problems of performance, scalability, availability, flexibility and numerous other issues this new approach presents. Actian – A Supplier Talks Sense! !